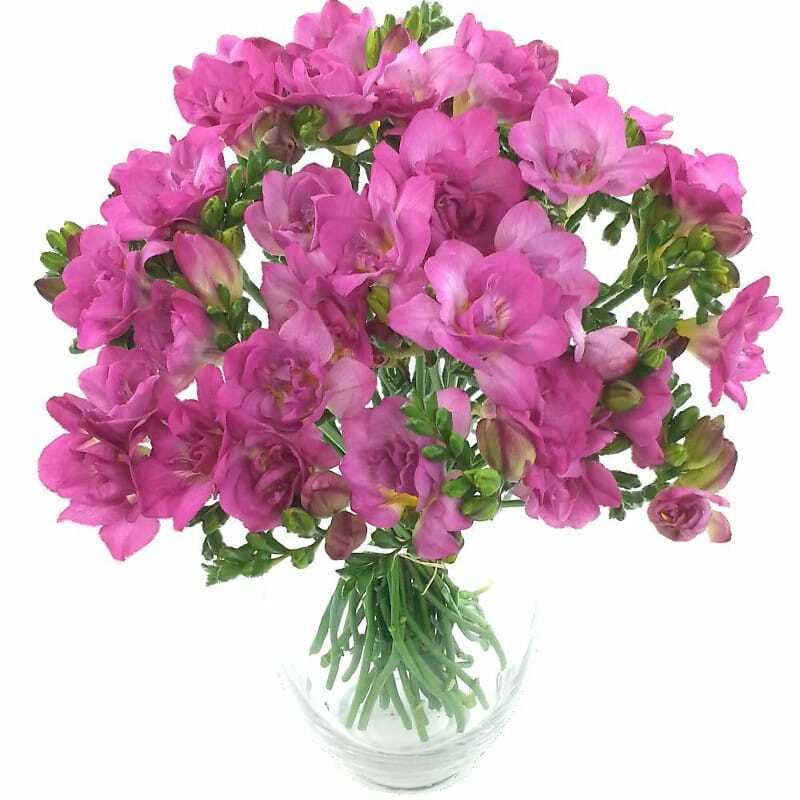 40 stems of hand-tied cerise freesia flowers, free UK delivery. Flowers delivered by our next-day delivery service. Only £29.99 from Clare Florist.